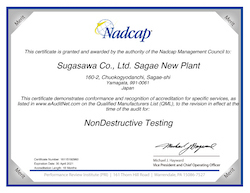 Sugasawa Group obtained the ISO9002 Intenational Quality Certification in July 2000 and QS9000 certified in August 2003. 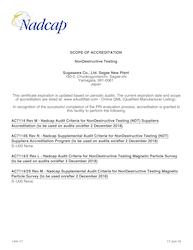 ISO9001 (Based TS16949) certified in July 2006 and JIS Q 9100 (AS9100 EN9100) certified in August 2011. 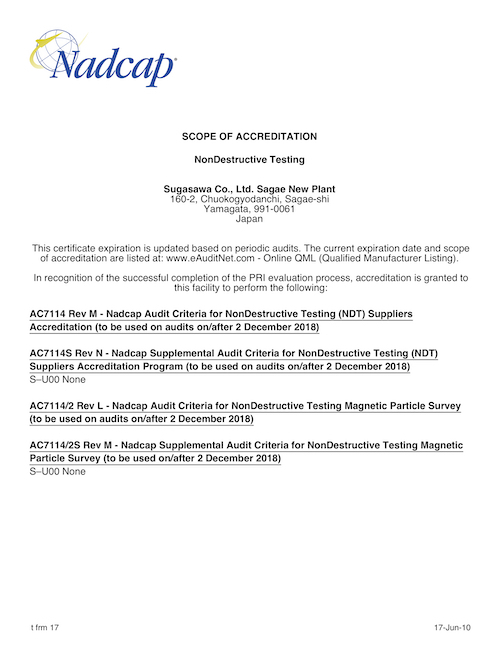 Nadcap (NDT:MT) certified in August 2017. 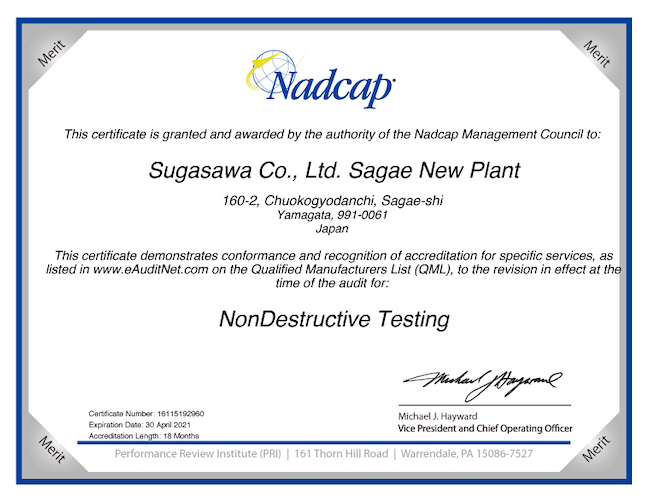 Copyright (c) 2012 SUGASAWA GROUP. All right reserved.